Your natural health: Want to lose abdominal fat? 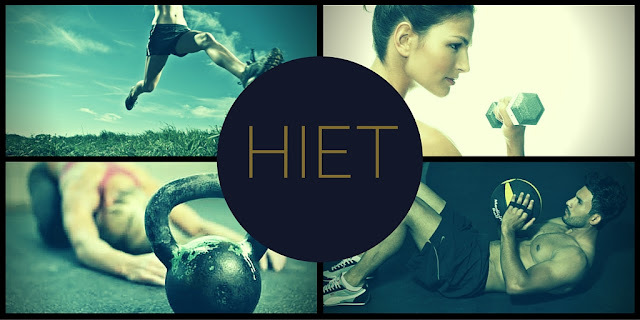 Try HIET! Want to lose abdominal fat? Try HIET! All activities matter. But if it comes to losing body fat the intensity and duration are two predominant factors. Recent studies published in Journal of Obesity indicated that high intensity exercises are way more effective at reducing subcutaneous and abdominal fat. Even though cortisol appeared to be a catabolic hormone - which results in reduction of protein synthesis and facilitation in converting amino acids to glucose (for energy). Short period of elevated cortisol level though helps to burn fat as its increases activity of the major fat burning enzyme - Hormone Sensitive Lipase. However this is the reason why high intensity activities should not last more than 45-60 minutes. Now You understand why after an intense exercise food and recovery are so important! If You try all You can but still feel overwhelmed by Your fitness routine try natural adaptogens like: Ginseng, Rhodiola Rosea, Maca, Tulsi or Ashwagandha - all of them will help to balance cortisol level within Your body. I think that everyone who is trying to build muscles will automatically recognize this hormone. If You try to build muscle and lose fat at the same time HIET may help You! Burn fat and prevent lean body muscle! Doing prolonged exercise like endurance training Your body may start using protein to generate energy when other sources are inefficient. In contrast this activities will maximize Your energy expenditure saving Your muscles relying mainly on glycogen (-glucose) and free fatty acids. To monitor Your intensity You can simply use Your own heart rate monitor or the one available on certain machines. What about other proved benefits? Interestingly obesity may cause stress! Not because someone is stressed by his image looking into mirror. 11-Beta Hydroxysteroid Dehydrogenase Type 1 is an enzyme presents mainly in fat tissue which converts inactive cortisone into its active form known as cortisol. This means that fat tissue is able to produce via convertion its own stress hormone! Curcumin showed to be a powerful inhibitor of 11-HSD 1 having at the same time antioxidant capacity prevents fat from oxidazing itself. This amazing spice may add not only colour and flavour but also other value to Your diet. Even though throughout the training our body produce stress hormones right after finishing it happiness hormones are released. That is why You feel good and satisfied. Prolonged stress may affect the body distribution of fat and make it accumulate around waist. High intensity exercises do not need to be boring! Try different equipment, classes, training methods and have fun! With regard to total body fat loss total energy expenditure is one of the key factor. Nic nie rozumiem... Czemu nie piszesz po polsku? Joanna ale nie zapominaj o swoich rodakach w Polsce! Z drugiej strony cię rozumiem, uderzenie w rynek amerykański przynosi znacznie więcej zysków. Ładny blog. Serio. Zostawiam Ci linka do artykułu jak zdobywać łatwo linki do swojego bloga. Z jednej strony go pozycjonując a z drugiej budując realną widoczność. Proszę nie usuwaj go nawet jeśli moderujesz swój kanał jeśli się Tobie mój poradnik nie przyda może jakiemuś innemu blogerowi. A sporo jak Ty nad tym wpisem się napracowałem nad stworzeniem tego poradnika. Z góry dziękuję. A jak się spodoba zostaw mi komentarz. Joanna you are nice girl. Thanks for this POST! Ci derà droga, di u travagliu di vari prublemi, a salute, aduprendu una droga chì hè digià tenute sempre cù a grana pò guarì cumplitamenti l 'Hermitage. Natural Health News is dedicated to providing the latest information on natural health and beauty. Natural Health News also provides in-depth and insightful reviews on health related products whether you search for general health products and suppliers or specialty products and service online and health related issues focusing on helping readers gathering relevant information about quality, price, and making decision to select their favorite goods. I'm a registered Dietitian, Personal Trainer, Fitness Instructor and GP Referral Fitness Coach. I'm particularly interested in nutrigenomics, psychoneuroimmunology and physiology of a human body. My articles for polish websites. Warzywa w puszkach - dlaczego warto? Jak biegać i nie chudnąć? Co jeść przed i po bieganiu? Co jeść by nie chorować jesienią? Co jeść przed i po wysiłku fizycznym aby schudnąć? Co jeść, by mieć zdrowe włosy? Czekolada a ziarna kakaowca. Co szkodzi? Dlaczego większość popularnych diet nie działa? Masz ataki obżarstwa? Zobacz dlaczego! Wegetarianizm w ciąży - dobra decyzja? Co powinien jeść biegacz? Top 10 produktów. Jaka woda najlepsza dla biegacza? Jak kontrolować porcję zjadanych pokarmów? Te 10 produktów Cię odchudzi. Słowo dieta od dzisiaj nie istnieje. 5 zasad, dzięki którym skutecznie pozbędziesz się zbędnych kilogramów. O czym należy pamiętać stosując dietę wegetariańską? Nie głodź się i chudnij! Promienna skóra? To takie łatwe! Jedz dla urody! Zasady oczyszczania w pigułce. NEEM – sposób na zdrowie, piękną skórę i włosy. Właściciel strony: Joanna Jamróz. Wszystkie prawa zastrzeżone. Awesome Inc. theme. Powered by Blogger.